Wapakoneta, Ohio (pronounced WAH-pah-kə-NET-tə) is an amazing town with a rich history. Wapakoneta, or “Wapak” as it is known locally, sits nicely nestled right next to the highly trafficked Ohio Interstate 75. Maybe the most popular resident of Wapakoneta is Neil Armstrong, widely known as the first man to walk on the moon. Wapak celebrates this every year with their Moon Festival. The “Moon” can also be seen from I-75 – a large round orb protruding from the ground that serves as the most visible part of the Neil Armstrong Air and Space Museum. 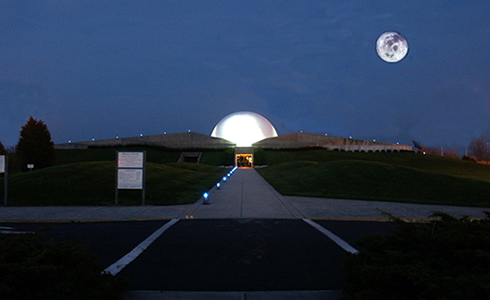 The Armstrong Air & Space Museum at night. The Neil Armstrong Musuem is home to Armstrong’s spacesuits from his Gemini and Apollo missions. You can also see the Gemini VIII spacecraft, an Apollo 11 moon rock, and two aircraft that Armstrong himself flew. 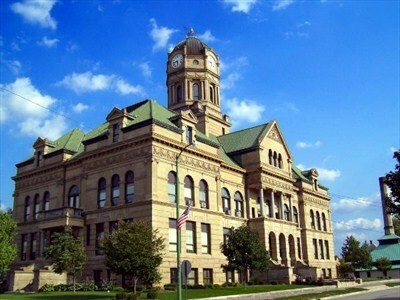 The beautiful Auglaize County Courthouse also sits prominently in downtown Wapak. It was finished being built in 1894 and is on the National Register of Historic Places. Nowadays you have to go through a metal detector to get in, but it’s worth it to see the architecture and paintings. There’s also a beautiful statue of the lady of Justice. The statue was resurrected in 1994 through a campaign called “Copper Pennies for the Copper Lady”. The campaign raised over $25,000 to fix her up. The historic & beautiful Auglaize County Courthouse in downtown Wapakoneta. Then there’s the amazingness that is the Rock Garden. The Rock Garden was built over many years in what started out as Jim Bowsher’s backyard. Jim and his brother Walt built a place for all to come and feel the spiritual zen that the rocks help provide. It’s truly a wonderful and unique place like nowhere else on the planet. 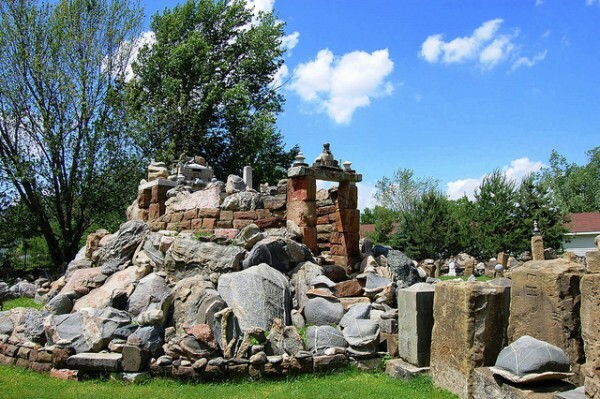 The Rock Garden is constructed with rocks and pieces of culture from all over the world. Around every turn is something new and each object has its own story, which Jim can relate to you. The piece de resistance is the magnificent Temple of Tolerance. As you climb the stairs, you realize just how big and cool it is. It was constructed as a place for people of all races, creeds and religions to come together and forget our differences. 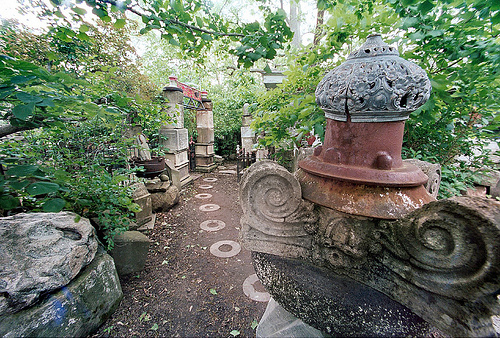 A path through the Rock Garden. During the warm months, every Thursday night they have a bonfire (weather permitting) and musicians are welcome to bring whatever instrument they want to add to the mix. Songs are shared and music is made! It’s a wonderful experience. The Temple of Tolerance at the Rock Garden. Wapakoneta also has a vast and rich American Indian history. In fact, the name “Wapakoneta” is an Indian name that come from the Shawnee word “Wa·po’kanite”, meaning “The Place of White Bones”. The land around Wapakoneta including most of Auglaize County were originally lived in by the Miami tribe of Indians. Members of the Wyandotte indian tribe would also come upon the land from the north and east. However, as the white man does, the Miami tribe was attacked and their main village of Pickawillamy (which was near Springfield) was destroyed. The entire tribe picked up and headed west for Indiana. Meanwhile the Shawnee tribe had been driven out of their home in Georgia and the Carolina’s. The Shawnee found a new home in the Wapakoneta area. Two of the most legendary Indian Chieftains, Blue Jacket and Black Hoof, helped establish a settlement in the Auglaize County area. A council house was created where Wapakoneta now exists. This council house served as a meeting place where many of the most prominent names of the time came together. These include both Blue Jacket and Black Hoof of course, but also James Blue Jacket (Blue Jacket’s son), Tecumseh and his brother the Prophet, Little Snake, Little Turtle, Peter Cornstalk and Captain Logan. The Shawnee were funded by the British and given weapons to help fight the encroaching Americans. Of course eventually the British gave up and left America, leaving the Indians to fend for themselves. 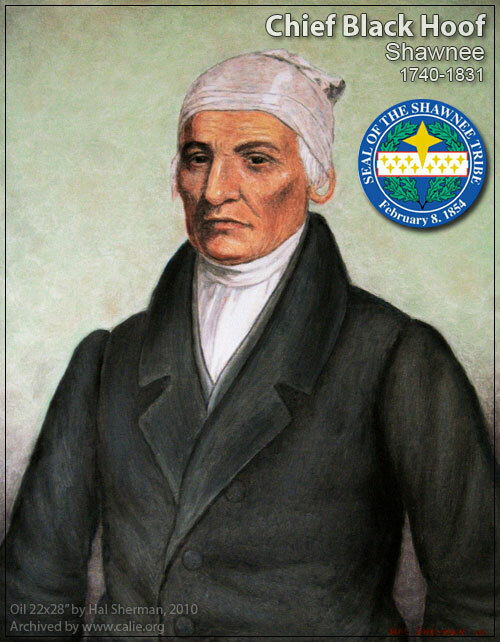 Shortly after the Battle of Fallen Timbers and the signing of the Green Ville Treaty, many of the Shawnee began to move west. Other Shawnee stayed in Wapakoneta on land that was given to them by the U.S. as a reservation. The Shawnee began to gradually accept Western ways under the guidance of Black Hoof. Black Hoof knew that the white man would never give in and they couldn’t win a war against them. Black Hoof didn’t like it but believed essentially, “If you can’t beat ’em, join ’em”. Despite the Shawnee peacefully trying to adapt to new ways, in 1830 the Indian Removal Act forced all Native Americans to move to new land west of the Missisippi in exchange for their land east of the Missisippi. By 1831, all of the Shawnee tribe had moved, mainly to the northeastern corner of Oklahoma. 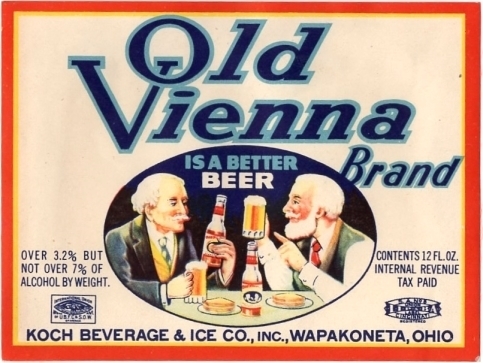 Old Vienna beer was originally brewed by City Brewing Company in Wapakoneta. Wapakoneta’s cost of living is 18.00% lower than the U.S. average. Wapakoneta was home to the first sawmill and gristmill in northwestern Ohio, created by the Shawnee. Wapakoneta is featured in the 1940 film, “Third Finger, Left Hand”. 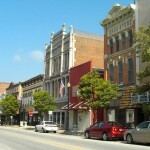 One of the characters is from Wapakoneta and the town comes up often throughout the film. When Auglaize county was formed, there was a fierce contest between Wapakoneta and Saint Marys to see which would be the county seat. Wapakoneta won out. 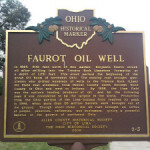 When the oil boom occurred in the area in the late 1800’s, Wapakoneta was part of it too. Oil and natural gas helped the city grow. In the late 1800’s, Wapakoneta claimed to produce more butter churns than anyone else. A strange claim, but it might be true: the butter churn was patented by Michael Brown, Francis McFarland and Joseph Brown of Wapakoneta. You can still find many antique butter churns made by M. Brown & Company. Chief Black Hoof lived to be 109 years old! Some claim that Chief Blue Jacket was born as, get this, “Marmaduke Van Swearingen”. They say that as a youth he was captured and adopted by the Shawnee tribe. This was popularized by the Blue Jacket outdoor play in Xenia, Ohio. However this is widely disputed and nothing has confirmed this. Wapakoneta was highlighted on the TV show “So You Think You Can Dance” in 2010 when Wapak resident Kent Boyd made it all the way to runner-up. 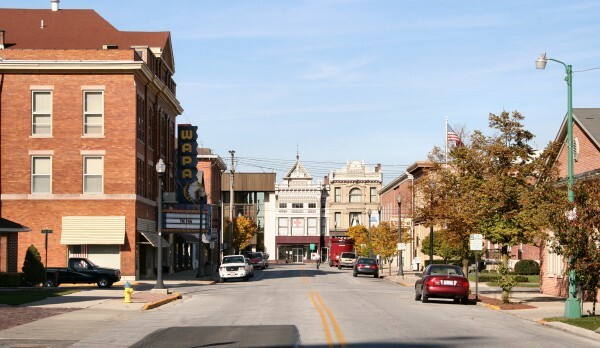 There is so much more to Wapakoneta, Ohio than meets the eye. It’s only 6 square miles, but it’s jam packed with goodness and history. If you’re ever in the area, you owe it to yourself to stop for a while. 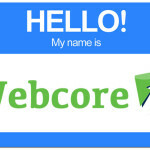 Ecommerce In Lima, Ohio: Increase Your Revenue and Traffic! 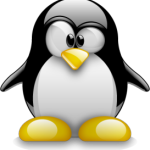 Google’s Penguin Update Punishes Spammy SEOs – Yay!